It’s no secret that I love a good fantasy series – emphasis on good. I’ve amassed a small handful of favourite fantasy authors, such as Patrick Rothfuss, Garth Nix, Robert Jordan, and Brandon Sanderson. 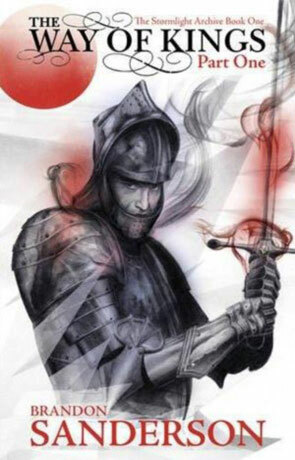 The Way of Kings is one of Sanderson’s most ambitious new series, and I sank my teeth into Part One the other day. Welcome to Roshar. A land of highstorms: storms of such terrifying intensity that the land itself has adapted. Plants withdraw into the ground, and animals and people alike hide in strongholds in the rock until the storm’s fury has passed. Roshar is also a world with a long history. Men tell stories of those fabled warriors known as the Knights Radiant. All that is left of them are their swords and armour, Shardblades and Shardplate. A warrior bearing such tools is close to unbeatable, and the wars nations fight to obtain them are unceasing. In the Way of Kings we meet three people of these lands who are not aware that their individual quests will soon be a part of a much greater struggle. Kaladin was to be a healer, but he wanted instead to save people by defending them in battle, not to patch them up after the fray. Those dreams are further away than ever, now, as he finds himself a slave. But Kaladin has always been seen by others as a source of luck, and it seems that his path will not end here, in the chasms of another man’s battlefield. Shallan knows that there is only one way to save her debt ridden family. She will become a scholar under the legendary heretic, Jasnah Kholin and once she has gained Jasnah’s trust she must steal the woman’s Soulcaster. Only with this magic will her family survive. The trouble is that Jasnah’s reputation as brilliant (if intimidating) is deserved, and Shallan would like nothing more than to learn from her without the hidden agenda. Dalinar was once one of the most respected Alethi nobility. His prowess in battle, his ruthlessness and his campaign strategy earned him a formidable reputation, and earned his house a great deal of power. Now his fellow brightlords and ladies think he is going mad – and Dalinar isn’t sure that they’re wrong. The visions that come to him during the highstorms are inexplicable. But the lessons they teach are valuable, and Dalinar believes he is on the correct path. These are three central characters amongst a rich cast in The Way of Kings. Sanderson introduces a plethora of nations and even more political agendas. A lot of this first Part is exposition, made necessary by just how intertwined every character in Sanderson’s world is. Each culture is made distinct, and each power structure furnished with intricate detail. Herein lies the caution: depending on how much you’re willing to invest now for a big payoff later, as a reader this is either interminable set up with no direct outcome, or it’s a slow, delicate build towards a cataclysm of drama. Happily, I’m of the latter persuasion, and this level of attention to detail now excites me as I expect a big reward down the line – and Sanderson’s never disappointed me in the past! If you like your fantasy – or your fiction in general – grand in scale, accomplished in writing ability, exceptional in character development and meticulous in plot and follow through, then I can’t recommend Brandon Sanderson enough. The Way of Kings (Part One) is the beginning of what I have no doubt will be another stand out series, much like his Mistborn trilogy. So I say to you, and so I say to people who come into work looking for a great new fantasy. Is Brandon Sanderson your kind of fantasy?